During the great depression, when Franklin D. Roosevelt was President, only four out of 10 Americans owned their own homes and millions of construction workers were out of work. With mortgages limited to only 50 percent of a home’s value, it was nearly impossible for the average American to own a home. In 1934 Congress created the Federal Housing Administration, which provided economic stimulation to the country through home and community development. FHA eventually aided returning war veterans, disabled and mentally ill people, and the elderly in obtaining mortgages. Today FHA is the only government agency to operate with self-generated income which means it does not cost tax payers money. 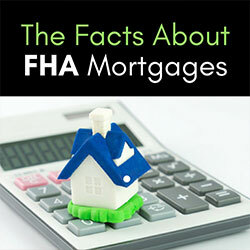 And there are many benefits to FHA mortgages, along with a few special qualifying requirements. The primary benefit of FHA mortgages over conventional mortgages is that they are much easier to qualify for because FHA is insuring the loan; thus, lenders are more willing to make a home loan to someone who might not otherwise qualify. You do have to pay mortgage insurance in the amount of 1.75 percent of the loan amount up front and then a smaller monthly mortgage insurance based on the loan-to-value ratio. This is required because FHA provides mortgages for people who would not qualify otherwise or who do not have the down payment amount for a conventional loan. This is what enables the agency to be self-sustaining. The mortgage insurance is financed into the loan, and the lower rates that FHA offers make up for the mortgage insurance. The lower interest rates for FHA loans help make payments less/lower. Too, you do not need perfect credit to get an FHA loan. Even if you have had a bankruptcy, you may still qualify. FHA loans require a lower down payment – only 3.5 percent, whereas a conventional home loan would typically require a down payment of 5 to 20 percent. In some cases you can even get an FHA mortgage for just $100 down. Also, the FHA’s limited 203(k) program allows a homebuyer to finance both the purchase (or refinancing) of a house and the cost of its rehabilitation with a single mortgage. This makes repair or modernization easier because the homeowner is getting renovation or related funds on the same favorable terms as the core of the mortgage. With FHA a family member, employer or charitable organization can give you the down payment as a gift; that’s not allowed with other programs. And the FHA will not factor student debt payments into debt-to-income ratio if a student loan is deferred for more than 12 months. FHA mortgages are insured up to $271,000.00 – and more in some areas of the United States – and there is no prepayment penalty. Further, the FHA has the ability and options to help you keep your home and avoid foreclosure. My favorite reason for young people to use FHA for a mortgage is that it is assumable. 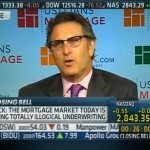 So, if the home sells, the buyer can assume the loan along with the interest rate and term. This means that if someone sells a home 10 years later and interest rates have gone way up, the home can go on the market with the existing percent interest rate intact. This can give the seller an advantage, making the home more attractive to buyers if interest rates have gone up significantly. I mention this as an attractive feature for young people because their lives are more likely to change over, say, a 10-year period, so the assumable FHA mortgage helps them hedge a bit on future salability of the home. The differences between FHA and conventional mortgages can be explained by a knowledgeable mortgage pro. These differences also underscore the importance of working with a mortgage banker who is going to take the time to understand your individual circumstances and goals and help you explore the options that best fit your needs.